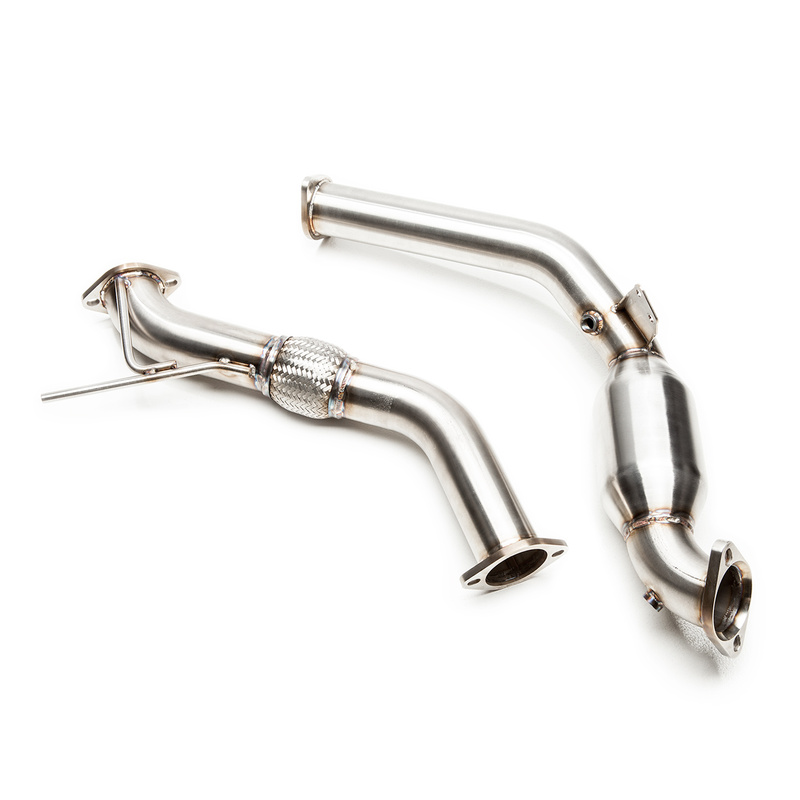 The COBB Turboback Exhaust for the EcoBoost Mustang combines the COBB 3" Downpipe and the COBB Cat-back Exhaust System. The turboback system features full 3" 304 stainless steel construction, a COBB "C" logo support brace, cast/machined turbo flange, a high quality, 200 cell count, metal spun catalytic converter, COBB stamped mufflers, and two 4" dual-walled tips featuring the COBB logo. The V2 Cat-Back Exhaust features a 3" to dual 2.5" configuration which contributes to a much more subtle tone than the original 3" to dual 3" design. Attention: The Cat-back does not fit convertible Mustangs. Coupes only at this time. 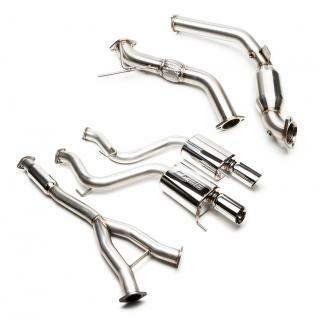 Upgrade your full exhaust system to the COBB Turboback exhaust and realize the power potential of the EcoBoost Mustang! 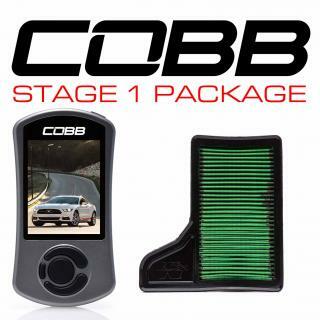 Tuning is required and is easiest achieved with the COBB Stage 3 Off The Shelf maps. Stage 3 maps require additional hard part modifications. For more details on power gains and modification requirements check out the map notes. Ford Turboback Exhaust Mustang Ecoboost 2015-2019 is rated 4.7 out of 5 by 6. 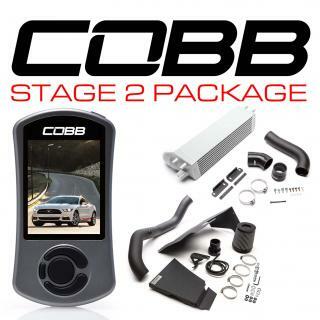 Rated 5 out of 5 by tg8arc from Last step of a complete Cobb Stage 3 tune So I have reviews of the 2018 Mustang EcoBoost for the Stage 2 and Stage 3 packages. I started with a Stage 2 and after a week I new I needed to go stage 3. So this was installed on a 2018 Ford Mustang EcoBoost with Performance Package. Please take a look at my review for the Stage 3 upgrade to get my baseline dyno and the Stage 3 dyno results. So ordered this package. It took just 3 hours to installed. Instructions are straight forward to follow. This gave the can a deeper tone and pumped the volume up. Even though the car is louder, let me say its not annoyingly loud. I love the finis and the look this exhaust also provides to the car. Rated 4 out of 5 by WSC from Great Sound and very nice Craftsmanship Great deep sound, not raspy like the other systems on offer. No drone what so ever at any RPM. Welds look awesome and done very well. Sounds great inside and outside the car. Has a nice sound at idle and gets louder the further up the rev counter. Will not annoy your neighbors or attract unwanted attention though. I used the stock downpipe, so sure it would be louder with Cobbs downpipe. The only reason I gave 4 stars though is because the Y pipe after the resonator is super close to the drivers side rear floor to the point it was touching if you hit a bump. I added a two washers to the two bolts to the hanger at the back of the stock downpipe to step it out toward the passenger side, and that gave it just enough clearance to move the whole mid pipe, that the driver side part of the Y will not touch the rear floor under any condition. This may not be a problem the full turbo back, and also stepping up from 2.25in to 3in, I would expect it to be tight. Not a big deal,love the catback system, sound, and would buy again!! Also I installed in driveway on ramps by myself, but a extra set of hands would have been very helpful. Ordered on a Monday night, shipped on Tuesday and received Friday, TX to FL. Was installed on a 2017 Fastback with a 6 speed Manual Gearbox. Rated 5 out of 5 by DRU842 from RHD Experience Have had the exhaust on board for a month with Cobb dealer fitting and I very pleased with the result. The sound is much improved (even complimented by neighbors) & is a much better match for the performance coming from the rest of the Cobb package. Nice rumble & no droning on the highway. NB. Matching up to a non-Cobb RHD down-pipe (no Cobb option available) did require some fabrication. 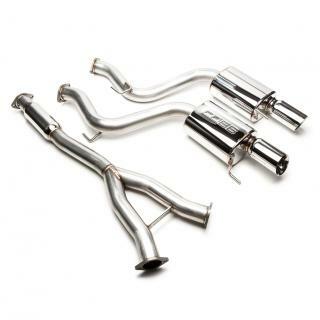 Rated 5 out of 5 by Dan S from Excellent upgrade for the Ecoboost Mustang I had the turboback exhaust installed on my 2016 Ecoboost Mustang AT to bring the car from Stage 2 to Stage 3. The system is very well made, of very high quality and along with providing a significant power bump when combined with the Access Port stage 3 93octane map, it sounds great! Not too loud at all and adds a nice bass note...but no drone at highway speeds and when you get on it, it sounds great but not overly loud...no need to draw unwanted attention to what is now a properly quick machine. 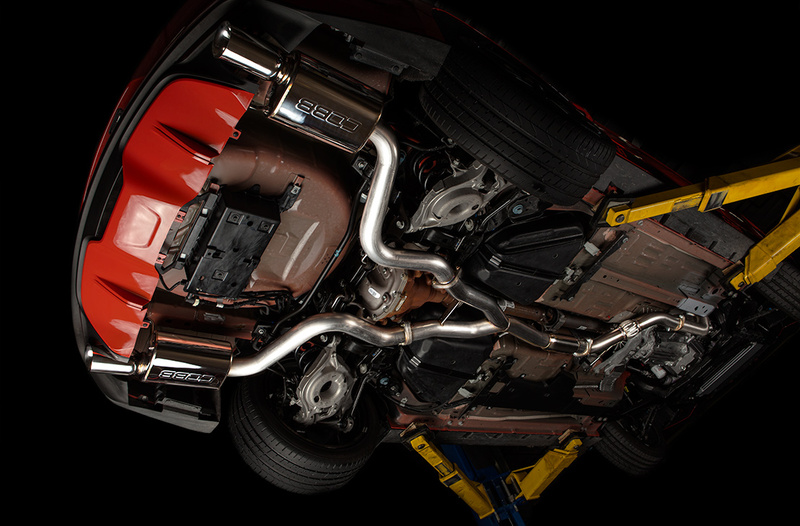 The Stage 3 package on the Ecoboost is exactly what the car needs. It mow feel like the power, suspension and braking are balanced any truly compliment each other. I have yet to run any 0-60 times to see what gains are there over the stage 2 setup, but the turbo spools quicker and the power in the mid to top end is definitely better. 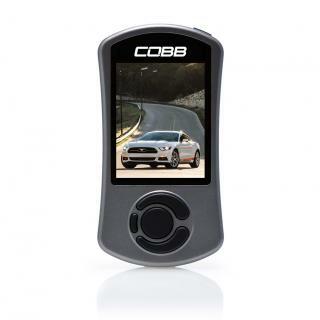 5 stars to Cobb for providing a great, high quality, reliable upgrade path for the Ecoboost 'stang and providing great customer support!